​Dylan Gonda, Olivia Walcott and Ryan Watling are students at Northern Michigan University. We love the outdoors and Lake Superior and want to share its stories with the world. 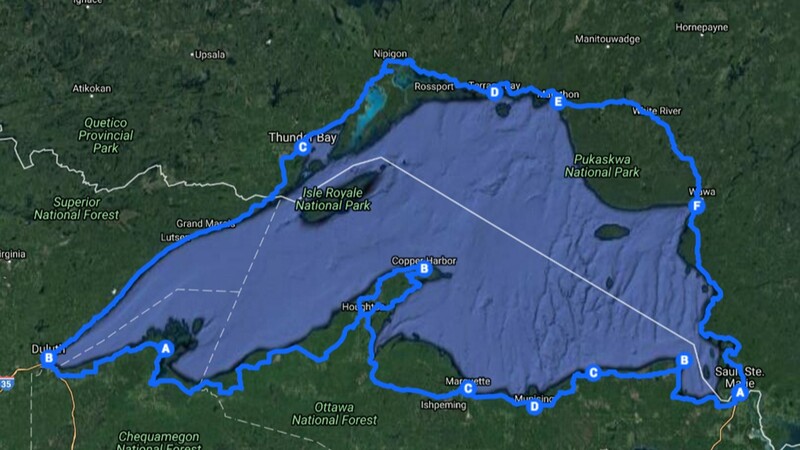 Our mission is to carry out a minimal-impact bicycle trip around Lake Superior to record and share the stories of its people, the places they love, and the threat that climate change poses. Our vision is to research and collect the stories about the influence of Lake Superior on those who live on its shores. Throughout the 1,400 mile journey, we will make a conscious effort to utilize sustainable practices with our food, equipment, and energy use. We want to gain an understanding of the impact that Lake Superior has on its surrounding communities while creating a platform of education about ways to keep Lake Superior pristine. As climate change is the defining issue in our generation, we want to be proactive in mitigating its effects on the places that we love. We aim to document this experience by utilizing a website, social media platforms, film, photos, and audio recordings.